Starting out as an audio engineer did nothing to prepare Mark Henderson for a job with software giant Intuit. 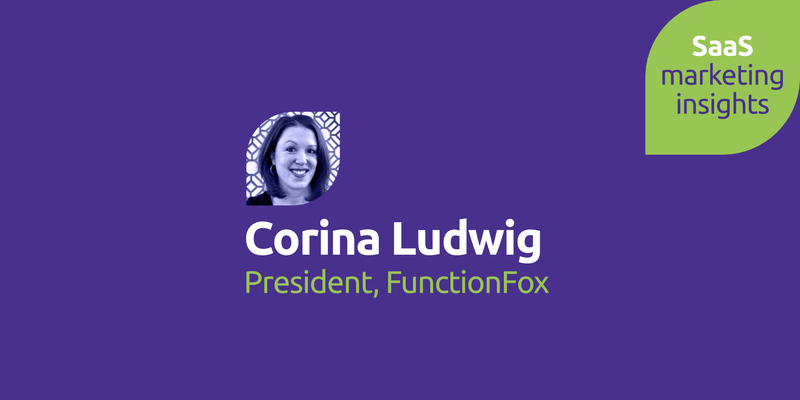 More than a decade later and the self-confessed data nerd is now CEO of project management SaaS company Flow. 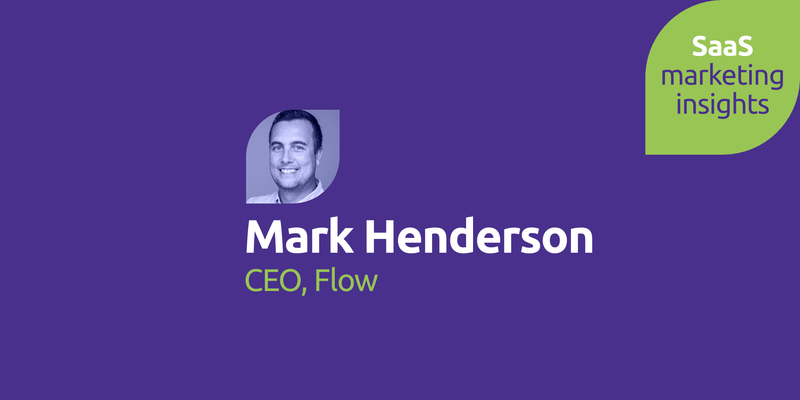 Mark reveals how insights into data analysis, marketing attribution, innovation and customer alignment are now paying off for Flow. Paul: On today’s show I have an interview with Mark Henderson, CEO at project management software: Flow. So Mark you’re the CEO of flow, it’s not something that you’ve always done, you’ve done a lot of things in your career, why don’t we start off by you telling me how you got started in business and in SaaS in particular? Mark: Well for me, I actually really wanted to be, I played in bands growing up and I love doing music and I went through this period where I was doing audio engineering. I did that for a year then I did slave labor in a studio for a year and I got totally sick of not having any money whatsoever. So I applied to Intuit and eight hours later I had my first job. Started at the call center, I did that for a year, after my first year I got the opportunity to manage the group out of Calgary which was really cool. A year later I got to manage a broader group and then I just kind of kept developing my operational resume through working at Intuit and I worked with those guys for 10 years and they were awesome, they’re so good at developing talent. Paul: So this was software when software was software and used to come on shiny metal disks? Mark: The funny thing was I remember in 2007 they flashed up this thing on the screen called SaaS and were like ‘software as a service it’s gonna change everything’ and I’m like neat, like everybody else not knowing and then fast forward a decade later, my entire world is just in SaaS. So yeah, I did a decade with Intuit, learnt so much from those guys, moved out to Victoria, met some really great people out, I’ve been in the tech for almost all of my career except for about two years where I wasn’t, doing some agency work. Paul: Wow, so how long have you been with flow? Mark: Just over two and a half years now. Paul: So you joined the company and then just magically became CEO? how did it work? Mark: That’s how it felt, no I actually started as the COO working for Andrew Wilkinson actually, he’d grown Flow off the corner of his desk over the course of about four years and he was looking to make it into being its own own dedicated thing so I came in I was COO for that for about a year and a half. Then after a year and a half they asked me to be CEO and yeah so I’ve been doing it now for about a year in half. Paul: Wow that’s great and I guess a lot has changed during that time? So am I right in saying that Andrews no longer involved like day-to-day at all, you have a free reign? Mark: Yep, actually he’s been awesome about that, coming from something that was his baby for a long time and to just like turn it over and entrust someone else to run. He’s there when you need him and when you need independence you have it so you couldn’t ask for much more, it’s pretty great. really competitive market and you’ve got things like, there’s so many SaaS project management solutions right. So there’s like Base camp and Trello and Asana and Wrike and millions of others, those are just the ones that I can think of off the top of my head. Mark: Every day I try and explain how to look at this market because if you look at it from the outside it looks like it’s just like the detergent aisle, it’s like oh that one’s purple and blue and they’re so different right. The way I look at it is actually far closer to the car industry now. It’s hyper segmented and the way I look at it is you can either be a horizontal use case, you can be methodology driven or you can be focused very much on a single industry and so where we live is in kind of that horizontal use case and so you know we go up against guys like Asana and Basecamp and you know Wrike and the ones you’ve all heard of. So yeah, it’s been a really interesting challenge because they’re just like, it’s a super fast-growing market, it’s super big and there’s lots of competition but that competition is huge not by mistake. There’s massive opportunity in this space. Paul: Sure so I guess everybody’s like running to take as much as the market as they can even though it’s still growing market? built it, they actually thought they were building it for an engineering team. It turns out over time and looking at 17,000 points of data it’s not true. So it’s really interesting, I think that’s the journey for all these tools, it’s figuring out who are you actually truly, who actually truly loves you and that’s kind of what I’ve got to focus on in the last two years. That’s kind of my wheelhouse I love, I’m a big data nerd and I do love looking at that stuff and getting to discover what our product-market-fit is and have math behind it. Paul: No, that’s no bad thing, I’m a fan of a spreadsheet myself. So a lot of change going on, obviously in the time that you’ve been here running flow it’s changed a lot as a product it sounds like you have a really good grip on which customer segment you’re delivering the most value for. So now you know what’s happening, what’s new with flow, what have you got that you can tell us about that’s coming up? Mark: Well we have a whole new feature set that’s coming out soon. Mark: Yeah soon, I’m not sure what I’m supposed to say here so I’m just gonna leave it a little bit, I think it depends when this thing goes live. Paul: Intriguing, is this a giant killer do you think? that’s great for creative people. Paul: Great, that sounds like you’ve got a really good focus. 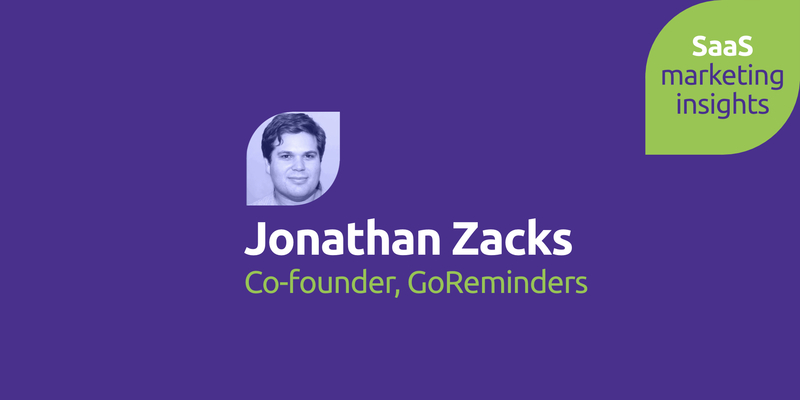 So on this journey in finding that perfect product-market-fit you’ve obviously tried a lot of different things in marketing, some of those things worked, some of them probably haven’t worked so well. What lessons if any do you think that you’ve learned on your SaaS marketing journey with flow? Mark: What are we gonna call this, marketing attribution does that make sense? Paul: Yeah, that makes sense to me. Mark: That’s really important, if we’re talking about the same thing. Paul: From this end, to this end? was being able to lay down that framework for knowing who’s coming in, where do we find them to, how long did they stay and what do they care about. Having that in place, that was so important. Marketing, it’s not just about making noise in the marketplace anymore, those days are long gone in my mind. 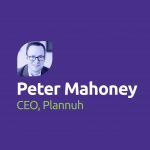 Paul: So, what’s the secret to marketing attribution because it comes up time and time again as probably one of the top three things that marketers always want to get right. Is it just about crunching the numbers? Being good with Excel and a pivot table? Or is there a whole kind of tool set that you use or methodology? Mark: It’s a combo of both, I’d say like, so first of all I would go with data informed as opposed to being data driven. That’s kind of my new mantra because if your data driven that means you’re just gonna follow the bread crumbs your customers lay and that’s okay but that can lead you into a really bad strategic place. So what I try to do is to say alright this is who we want to go after because it makes sense for us and then what we try and do is to make data informed decisions to get us there, that means sometimes turning away from what seems like it could be a good breadcrumb trail but maybe it leads to a scary place. Paul: Cool, well that sounds like a really smart approach. Mark: Little to Hansel and Gretel I just realized. for flow. New stuff coming up, you must be a really busy guy, juggling lots of balls, spinning lots of plates whatever metaphor you want to use, how do you balance this busy career, this busy business with the rest of your life? I mean you probably say you don’t but how do you make sure that you stay fresh, that you don’t sort of lose your edge, that you don’t burn out? Mark: I have to say because you want to maintain like a work-life balance right so my wife and I we have a three-year-old, there’s some work there, it’s tough. It’s super rewarding it’s just you gotta make sure that you have enough time so the only way to do that is to really compartmentalize the time that you put in at work. If you want to maintain a normal, somewhat of a normal life and so for me the biggest thing that I’ve been talking about lately is just moving away from being reactive, into proactive. The way I kind of describe it is you can either chase every event that occurs or you can recognize that it’s about knowing which ones to ignore and it’s so easy to become this like firefighter that just chases it all versus being able to filter out. I went through a period there where we were dogfooding Flow and for me, I was learning how to use that kind of tool and I went into a completely reactive mode and yeah that didn’t go well, stressful time. Paul: So you saw lots of things you didn’t like? Mark: Oh yeah, it’s completely self-imposed stress and anxiety right and the nice thing about us redesigning the product. There’s a little bit of what I like in there and it’s a great tool for me now and I can use it and it helps me get back to being organized and do the things I like to do which is planning. I’d say like just going from being a reactive to a proactive person it’s probably the single biggest tip, it’s so important. Paul: Having a focus and feeling like you’ve got more control rather than you are just being pulled in different directions? Mark: Just being able to know what stuff you should be able to ignore or to push away because if you do it all, it’s not good. It’ll kill you. Paul: Literally I think, yeah. 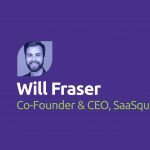 follow up on in terms of SaaS or marketing or leadership? Mark: You just called me on it, I can’t remember, yeah sorry, we’ll edit that in later. No seriously, so what that book taught me was if you think all of your innovation is just strictly limited to product, you’re gonna be chasing ‘me to’ forever. The problem with our world is any feature that somebody makes, that are competitors does, I can make it six months later and they can do it to. So you’re constantly going to be in this feature war where it’s not good and what they did is they just enlighten me by saying, the best, most innovative companies they innovate on five or more fronts. Statistically that’s, and for me because it’s math driven, it’s like that makes total sense to me. So you look at your business model and you look at how you operate in the company and there’s opportunity, when you see that there’s opportunities to innovate like literally everywhere and it’s just, it’s so much more empowering than thinking like what’s the next feature gotta be and then you’re always chasing that thing. Paul: So what I think I’m hearing and I might be wrong is that your mindset probably because of your experience and background whatever, tends to be more product focused but there’s this whole world of innovation outside a product. Whether it’s in customer service or delivery or whatever? Mark: Yep you know it literally was, when I read that I was just like ‘whoa’ and so when I read stuff like that I get excited about wanting to teach it to somebody cuz that’s kind of Who I am. So I’ve been working on putting together like a whole presentation on it just to share with the rest of the group to help them, give a chance to see what I see now for Flow. Paul: Cool, that sounds pretty inspirational stuff, good leadership. Mark thank you very much for chatting, it’s been great sharing so much detail about Flow and good luck with everything, it sounds like a great journey.